If you are a business owner or serious about your blogging, have you ever thought to pay more attention to your online marketing and social media situation? If you answered “not really…” then you need to take a good hard look at yourself… and immediately follow Blog Society to learn more about these tricky little subjects and how they can do wonders for your brand. 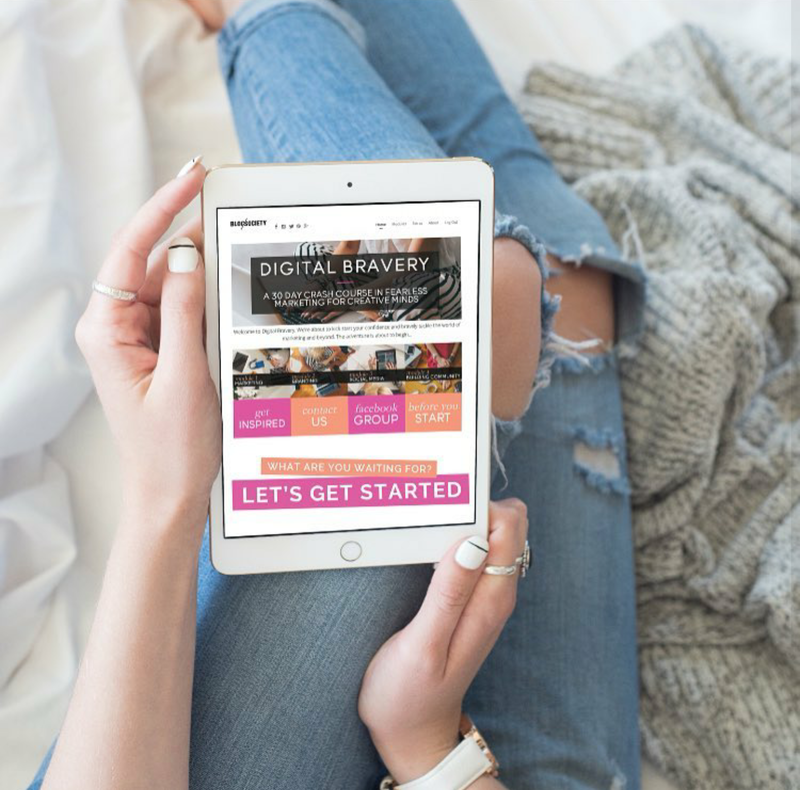 I recently completed Blog Society’s Digital Bravery e-course, which is essential for anyone wanting to seriously ramp up their online presence, whether it be to drive more traffic to your site or to increase sales. Whilst I’m not a business owner I am however interested in social media and the digital world and how it can impact your blog or business. I found Blog Society via Facebook and Instagram and upon following their pages I was instantly drawn to their style and wanted learn more about the digital marketing world. When the recent round of their e-course became open for enrolment I didn’t hesitate to sign up. The course runs for 4 weeks with a new module being released each week. Plus, an additional 2 weeks of study break is included to let students catch up if they’re behind on any module. This is perfect as I work full time (no kids but I do have a cat, same thing right?) which meant I could do the course at my own pace whenever I wanted. Even with the cat sitting on my laptop. Each module is full of SO MUCH juicy information it will make your head spin – in a good way! If you’re like me and you get excited over the nitty gritty bits then you will absolutely love the course material. It’s all really easy to follow plus there are workbooks accompanying each module to complete along the way. 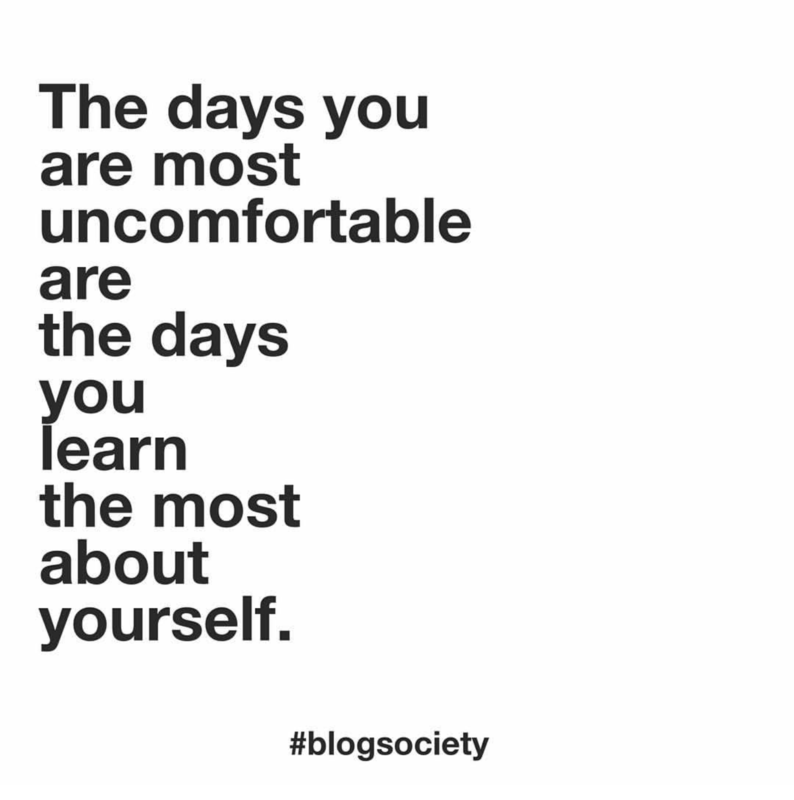 These encouraged me think outside the box, asking the right questions and making it applicable to my blog. There was also a few magical “a-ha” moments which made me see things in a new light and had me scribbling notes and making changes to my site along the way. Upon becoming a student of Blog Society you are also granted access to a private Facebook group full of current and past students of the Digital Bravery e-course. Having access to this group alone is an awesome benefit as it allows you to chat with like-minded people who can give advice on topics and encouraging feedback on your website if you wish to put yourself out there. Blog Society owner Jaclyn Carlson is a huge asset in the Facebook group too, offering advice and encouraging students to be brave and step out of their comfort zones by asking questions and getting involved in the community. This is a really important step as if you’re not actively participating online in any aspect then you won’t be seen or heard when needed most. Talking in the group makes it easier to take that first step of being active online. Jaclyn also offers the opportunity to contact her directly throughout the course with any specific questions or problems you may have with the modules. I find this approach quite comforting as you know you don’t have to just give up if you’re finding it difficult to understand. I’m pretty stoked to have all these new bubbles of information in my head and I’m quite excited to put it all to good use. Even though the e-course is finished I still have all the materials to refer back to when I need it, which is a major plus as I’m sure I’ll need to refresh my brain on a couple of things again sometime soon! Based on my experience, I would highly recommend this course to anyone wishing to further their knowledge on the digital world. If you’re a small business owner or getting serious about your blogging, then you need to do this course. It’s a must if you are struggling to figure out the confusing world of social media or if you’re not a full bottle on branding, marketing or SEO – these are all very important and vastly different areas of your business that need to all be working together to get the best result for your brand. If you want to feel confident, informed and have a renewed excitement for the online world then this course has to be top of your list. Go on. Be brave. Be inspired. The next round of Digital Bravery starts Monday 17th October and it’s one thing I cannot recommend enough for bloggers and small business owners. Click here to sign up to become a graduate of their course.